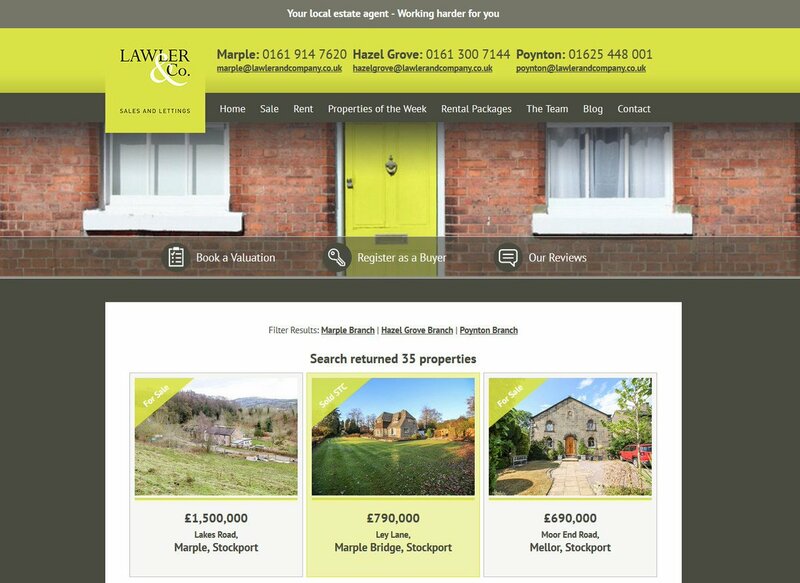 Thank you again to @Lawler and Co Estate Agency, the Independent Estate Agent on Stockport Road, for renewing sponsorship of The Marple Website for another year. Lawler & Co also have an enhanced entry in the Marple Website Community Directory on the main site. Thank you again to @Lawler and Co Estate Agency, the Independent Estate Agent on Stockport Road, for renewing sponsorship of The Marple Website. 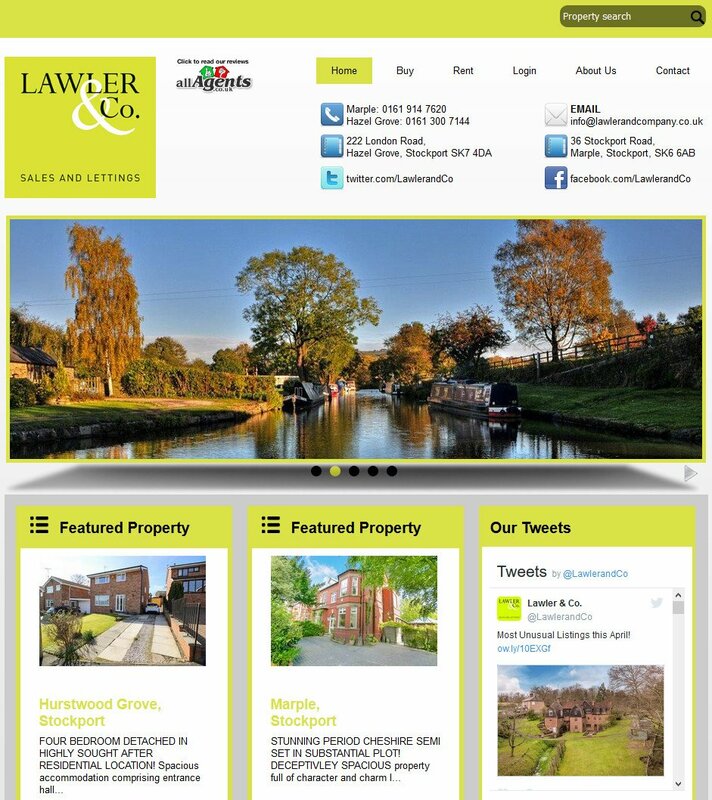 Thank you again to Lawler & Co, the Independent Estate Agent on Stockport Road, for renewing sponsorship of The Marple Website. As the darker nights draw in do not be put off putting your house onto the market. We are finding there is a huge amount of buyers looking to purchase at the moment plus fewer houses coming onto the market making it a great time to sell. We can carry out all viewings during daylight hours whilst you're at work or Christmas shopping - all included in our award winning 0.9% + VAT selling fee (subject to minimum fee). Contact our office on 0161 914 7620 to arrange a free, no obligation market appraisal. 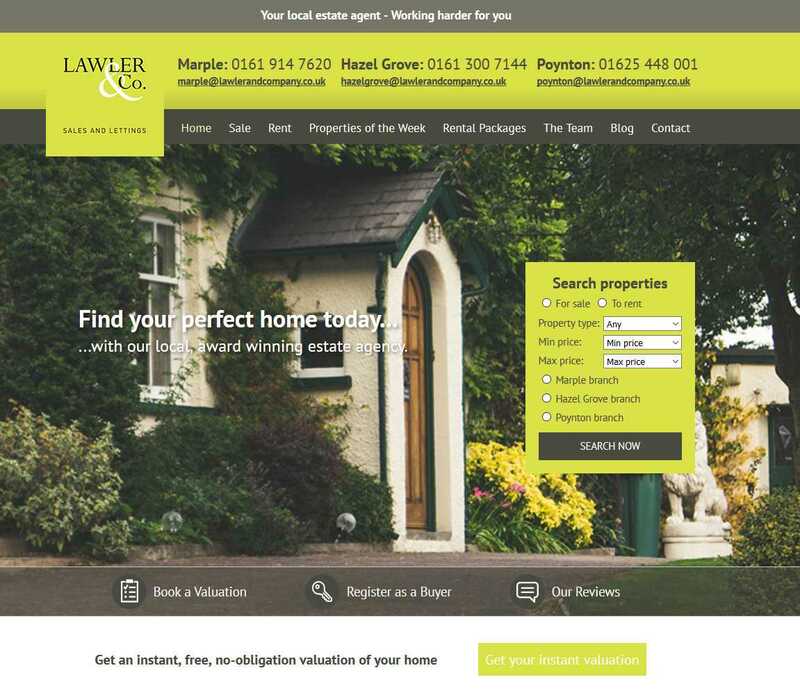 Thank you to Lawler & Co, the Independent Estate Agent on Stockport Road, for renewing sponsorship of The Marple Website. We would like to thank the local community for the fantastic support we have received over our first year! We can still hardly believe it's been a year already! If you are considering a move contact the office on 0161 914 7620 to arrange a free, no obligation market appraisal with Leigh Lawler. Fantastic market for selling at the moment with great prices being achieved! Due to this we have further expanded our sales team with Vicki and Emily joining the team. Our selling fee's are 0.9% (subject to minimum fee of £1,500) +VAT. This includes all marketing and advertising. Contact our team on 0161 914 7620 to arrange for Leigh Lawler to carry out a free, no obligation market appraisal. Lawler & Company - Thinking of moving? No signs of the school holiday slowdown this year, still a very busy market! Currently our selling fee's are 0.9% (subject to minimum fee of £1,500) +VAT. This includes all marketing and advertising. Contact us on 0161 914 7620 to arrange for Leigh Lawler to carry out a free, no obligation market appraisal. Due to a successful opening April and May Lawler and Co have extended our opening offer on sales fees 0.8% +VAT (subject to minimum fee of £1,500) for June! Let's get moving! Call 9am to 9pm 7 days a week to book a free no obligation market appraisal with Leigh Lawler on 0161 914 7620 and find out what we can do for you. Myself and the team would like to thank the local community for the warm welcome we have received since opening. If you are thinking of moving we would welcome the opportunity to discuss our service with you, plus take advantage of our opening reduced selling fee's. I'd like to welcome The Marple Website's newest sponsor, Lawler & Co, the new Independent Estate Agent on Stockport Road, Marple.